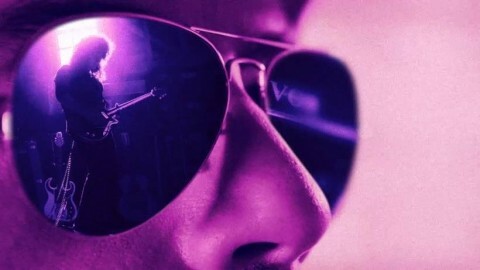 "Bohemian Rhapsody", the notorious biopic based on the story of the British rock legends Queen, came out worldwide at the beginning of November. As it was expected, in the next few days social networks literally exploded with stormy discussions among those, who left cinemas with a sense of bliss and those, who called the picture a mediocre cosplay, that just discredits the image of Freddie Mercury, the greatest vocalist ever, genius, dreamer and the idol of millions. Well, I should say that the movie really brought on mixed impressions, perhaps because of my high expectations. Usually I treat every similar biopic in a way like "hope there is not to mush pathos", "hope they won’t miss this or that real episode..." In the case of Rhapsody, it seemed that the authors were determined to make a masterpiece, especially since we heard that they cooperated actively with real Queen members — 71-year-old guitarist Brian May and two years younger drummer Roger Taylor. Did it work? Unfortunately no. But it depends on which side you watch the film. It seems that the directors Bryan Singer and Dexter Fletcher, with the support of the musicians, tried to keep their feet in both worlds, as a result we got a not completely honest, sugary biopic and quite cool feature film with praiseful camera work rolled into one. Read briefly at Noizr Zine about the two sides of the "Bohemian Rhapsody" and the curious mismatches between the plot and reality. Probably, every feature film has the right to step aside from the events that actually took place in history (let us remember Quentin Tarantino, who easily had killed Hitler by Jews in the plot of his very successful movie "Inglorious Bastards"). If we reject the remark "biopic" while talking about "Rhapsody", then in general we can discuss a high-quality concert movie with swinging realistic atmosphere and classy acting. In addition, the actors are so well chosen that sometimes it seems as if Brian May himself returned to those 30-40 years back to play in the movie. The American actor Rami Malek, who is most well known for playing the lead character in "Mr Robot", showed himself in the best light this time. His Freddie Mercury act deserves sincere praise, this is one of the best performances in movies of 2018. When you look at his mimicry, imitation of movements, various tricks on stage and even the vocalist's habits, many disadvantages of this film just fade away. This is really worth seeing. The project budget amounted to $52 million, far from the highest sum while working on a movie with such ambitions. Nevertheless, the authors managed to do everything to bewitch the ordinary viewer with a high quality picture: amazing costumes, backstage footage, live-scenes, even with a 3D crowd of thousands. Indeed, the main episode — a charity concert Live Aid, which took place at London's Wembley Stadium in 1985 — is very impressive. The authors were so embarrassed by the idea of recreating Queen’s 24-minute performance that even Pepsi and beer glasses on Mercury’s piano were arranged in the same way as during the show with millions of viewers around the world. Rami Malek exactly imitates the movements and habits of the frontman up to flirting with the camera on stage, at this point skilled camera work takes the viewer from his microphone to the crowd, from the crowd behind the scenes, from there to the Live Aid broadcast viewers and again to the stage, revealing a lot of unseen details. Due to this you literally feel a cool effect of presence, which creates a completely different ability to estimate the scale of the historical event. So, what we’ve got: very beautiful, humorous, sometimes touching storyline, exciting group adventures during studio sessions, breathtaking footage of stadium concerts, roaring crowds and sweaty hyperactive Mercury on stage. All this happens with the Queen's favorite hits — the viewers tap a rhythm with their feet while "Another One Bites The Dust" sounds and cry during "We Are The Champions". However, among all this you could hear the grumbling of those who came to the cinema not to watch just the vivid picture. The main disadvantage of "Bohemian Rhapsody" is the one-sided brief story that makes you feel like you watch the film not so much about Queen as about the fact that without the band the brave and wilful Freddie Mercury was nothing more than a narcissistic beggar on horseback. The movie shows great teamwork of musicians, because the four entered history as a band in which every member was the author of at least one hit, that took its place in charts those times: Mercury writes "Bohemian Rhapsody", May writes "We Will Rock You", Deacon — "Another One Bites The Dust", Taylor — "A Kind of Magic". Everything would be fine, except that small thing: for the whole two hours, the plot seemed to whisper in my ear that for the vocalist, smarty pants, Queen was only kinda a temporary toy, a springboard into rich life, while the rest anxiously called the band their family. It would be nice to watch “Bohemian Rhapsody” one more time, but more attentively, without being distracted by the colorful picture, because there are no complaints about its visual delivery. But there are some challenges with the plot; you may find several very curious mismatches with the real story of the band. Also there are a lot of less important things (some of them are also given below), but it seems that some episodes from Queen’s life were twisted for drama, showiness and, apparently, the desire of someone to appear in a better light than they really were. 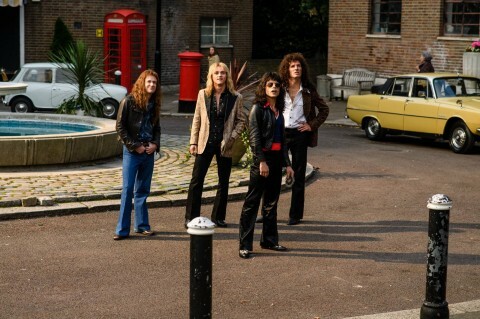 The Episode: Brian May and Roger Taylor meet Freddy Mercury in the street behind the club. The future frontman is denied to join the band and he begins to sing. In the next scene, May, Taylor, Deacon and Mercury are swinging the hall together for the first time. As it really was: Brian May and Roger Taylor (members of the band Smile in the late 60s) had been familiar with Freddie Mercury since their college years. Farukh Bulsara (the real Mercury’s name) often visited their concerts, and later took the vocalist position. Several times they changed bass guitarists until John Deacon appeared in 1971. The Episode: Brian May composes the main motive of the future hit "We Will Rock You" in the studio. Later Mercury appears with a short haircut and mustache. There are some misunderstandings between him and May, but the next moment the vocalist is drawn into a rhythm that the guitarist sets with his hands and legs. As it was in fact: Right after the episode with the studio, it looks like we see 1981 concert in Montreal (Canada), where the public is already singing along with Mercury the new song, the frontman really had mustache and short haircut that time. But May wrote "We Will Rock You" in the 70s, and the song came out in 1977 on the album "News Of The World". That time Mercury still wore long hair and had no mustache. He also appeared like that in the official video. The Episode: Too self-confident Mercury decides to separate from the band and start a solo career, as the result all the participants are shocked, the drummer Roger Taylor is especially upset. Mercury leaves, then comes back too overwhelmed and asks the musicians permission to join Queen again. The band is eager to get to the Live Aid charity concert (1985), but the deadline has already passed, and how are they going to play, if they spent so much time even without rehearsals. As it was in reality: This is the strangest and slightly despicable misnomer in the movie, because in 1983 Queen really decided to pause the live performances for some time, this pause lasted till 1984. Yeah, at this time, Mercury became interested in solo materials, which would later be included in his albums "Mr. Bad Guy" (1985) and "Barcelona" (1988). But the other members of the band were also interested in this pause. For some reason, there is not a word about Roger Taylor and his second solo album "Strange Frontier" (1984), besides his first solo album "Fun In Space" was released separately from Queen in 1981. Brian May released the EP of his side project with Eddie Van Halen Star Fleet Project, created in 1983. Moreover from 1983 to 1984 Queen continued their studio work, though not so actively, but they did. The band recorded The Works LP, which included the hits like "Radio Ga Ga", "Hammer to Fall" and "I Want to Break Free". The album was released in February 1984 and the band went on tour, so they were touring actively almost until Live Aid, and then until July of the following year. The Episode: After the rehearsal before Live Aid, Mercury gathers musicians and talks about his illness, then we see a touching moment, something like "don’t even think about crying", "Freddie, you are a legend" and so on. As it really was: It seems that on the Live Aid scene in 1985 Freddie Mercury sang without the slightest idea that he was sick with AIDS, perhaps he was not sick yet. But the whole point is that the frontman was diagnosed only in 1987, and even in 1988 he concealed this fact. When journalists began to ask him about his health, referring to his appearance and weight loss, Mercury found all sorts of excuses, saying that he was just exhausted and tired. Bohemia, bohemian — it is something eccentric, out of the ordinary world, not common. It can be said about Queen and their music during the best years of the band, but not about this movie. "Bohemian Rhapsody" is just a successful, interesting film, made according to the standard scheme: the main character and his team in the center of the plot, there is necessarily one antihero, a couple of episodes with humor, a dramatic moment and a powerful (albeit too embellished) but touching ending. It looks like the scene with the pompous manager Ray Foster, who refused to make “Bohemian Rhapsody” the single of “Night At The Opera” album, also was fictional, and there was no such conflict in reality at all. There are a lot of ambiguities around the story with Mercury's personal manager Paul Prenter (in this situation he is an antagonist or just a scapegoat in the plot). Too much drama around Freddie Mercury’s and Jim Hutton’s relationship (the vocalist wasn’t looking for him like a maniac around cities and in telephone books; their second meeting, after which they started the relationship, was also an accident). In this case I would like to note once again, all these nuances do not spoil this wonderful artistic movie, excellent camera work, high-quality casting and their performances; as long as you don’t expect the true and meticulous biopic about Queen from it. For those you have not watched it, but are going to, just enjoy a good film, it’s frames, drive, humor and seminal hits.